I like space opera, but sometimes the weird genre just doesn't grab my attention, especially when mixed with space opera, however this one looks very interesting. It's the start of a series so why not grab a copy and read it while enjoying a Kimchi Soda. 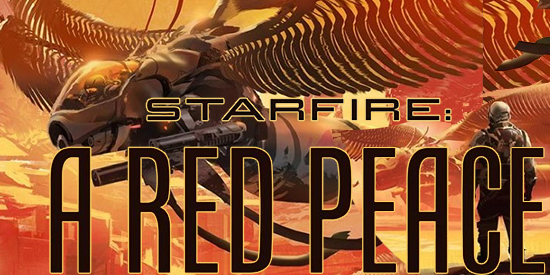 A Red Peace, first in Spencer Ellsworth's Starfire trilogy, is an action-packed space opera in a universe where the oppressed half-Jorian crosses have risen up to supplant humanity and dominate the galaxy. Spencer Ellsworth has written a classic space opera, with space battles between giant bugs, sun-sized spiders, planets of cyborgs and a heroine with enough grit to bring down the galaxy's newest warlord.